I have been under a rock lately, focusing on all the wrong things lately, work and associated issues that arise out of too much of it to notice the passing of Micah True. I only recently became aware of the enigmatic man and I found him to be inspirational and of great interest. He apparently died of Cardiomyopathy. In a new study out of McMaster University in Hamilton, Ontario, researchers have found that completing 20-minute sessions of cycling intervals–with one minute at 90 percent maximum heart rate, one minute rest, repeated 10 times–significantly boosts overall health and fitness, even in patients with cardiovascular disease. The American Heart Association recommends 30 minutes of continuous, moderate exercise five times a week, but this study indicates that 20 minutes of interval training is as beneficial and possibly more enjoyable. And, obviously, the interval workouts are shorter. The majority of Americans who don’t exercise say it’s because they don’t have time. If you’re in the minority–that is, you do have time for prolonged, moderate exercise–you shouldn’t abandon your current regimen. This type of exercise also has proven heath benefits. But on days when you’ve got to squeeze in a workout, intervals may be the way to go. The Coach Gives Me SomeTough Love! On Tuesday I saw my cardiologist (Dr.K) for my quarterly blood work results-which I was too busy to do the prior 9 months. One things I love about Dr.K is she always starts my visit with “What’s new?” or “Tell me how things are going?” You may say she is just being polite but having been to going to her for the last 3 1/2 -4 years I can assure you this is part of the treatment I receive. For the most part my appointments last 30-60+ minutes, usually 3/4 of time is talking about how my life is going and how I deal with it. We never even look at the blood work results until we discuss the factors that ultimately effect them. This time I started with a sigh and said “It doesn’t get much worse”…her response “Tell me what’s going on with you?”. Now, I do my best to be in the moment and happy as much as possible and while I have been feeling very low about life in general (money,work etc…) I’m never visually depressed, unhappy or fail to find laughter through the days but I gave her quite a dump of excuses, emotions and reasons why life “doesn’t get much worse”. Dr. K is from New york and has a bit of that city’s flavor to her but she is also very sweet, caring and ultimately there for her patients. So, basically she called me out for any excuse I had for not working out, not eating correctly, not doing what I know I should be doing in regards to how I live my life and handle stress. Sort of like a coach at half time pumping up his team – calling out the errors and missed opportunities and motivating and reinforcing how not to make those mistakes and get my head back in the game, “You already have the answers and know what to do you just need to do it.” is what she said. At first I didn’t like hearing it – I know what I need to do I don’t need someone else telling me- 10-15 minutes into the discussion I realized I need this. 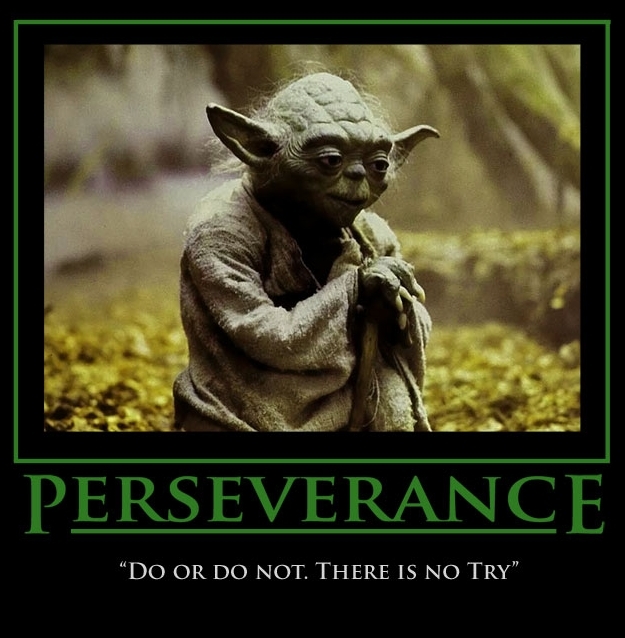 I’m not a huge Star Wars fan but her statement to me of “There is no try, just do” (reference to Yoda’s “Do or do not, there is no try”) was spot on. I wish more doctors especially cardiologist treated the whole person more…because somedays you just need to have someone call you out! What kind of treatment to you get? What does your doc do or don’t do you’d like to see more or less of? Do you prefer just the facts or also want a coach at your visits? Today marks the beginning of the 49th annual American Heart Month. 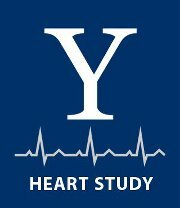 THE YALE HEART STUDY is partnering with THE HUFFINGTON POST to spread awareness about cardiovascular disease. The Yale Heart Study is writing a blog-a-day for the Huffington Post. Read our first blog of the month “Tall, Dark, Handsome and Not Likely to Die of Heart Failure.” And look forward to the 28 more blogs to come! a Avraham, Regina. 2000. The Circulatory System. Philadelphia, PA: Chelsea House Publishers. b Chilnick, Lawrence. 2008. Heart Disease: An Essential Guide for the Newly Diagnosed. Philadelphia, PA: Perseus Books Group. c Daniels, Patricia, et. al. 2007. Body: The Complete Human. Washington, D.C.: National Geographic Society. d Davis, Goode P., et. al. 1981. The Heart: The Living Pump. Washington D.C.: U.S. News Books. e The Heart and Circulatory System. 2000. Pleasantville, NY: The Reader’s Digest Association, Inc.
f Parramon’s Editorial Team. 2005. Essential Atlas of Physiology. Hauppauge, NY: Barron’s Educational Series, Inc.
g Tsiaras, Alexander. 2005. The InVision Guide to a Healthy Heart. New York, NY: HarperCollins Publishers. Thanks for the post Craig and posting about your health experiences. Strange we haven’t crossed each other’s path in the blogosphere. My (very un-updated blog) discusses my adventures with VT and a non-genetic form of ARVD/C… you and your readers may be interested. I will update soon, currently in my final weeks in grad school, then freedom, and time. I still train – 8-10hrs a week, no competition until some issues get figured 0ut (occassional VT = zaps by the ICD)… http://v-tach.blogspot.com/ Nice effort on your blog, keep up the good work.